My column this month revisits change management, a topic which gained prominence in the 1990s business literature. The fact that change is inevitable and affects all organizations, including those employed by them, means it is still a relevant topic now. Organizations change in response to dynamic operating environments, and the success of projects is often associated with how well leaders manage change. Change represents a disruption, forcing individuals to learn new ways of thinking and acting. Because of this, change is viewed negatively and subject to resistance. The early literature indicates successful change management will overcome stakeholders’ negative bias and resistance. In 2000, I first read Who Moved My Cheese. Using an allegory of two mice and two small people in a maze searching for cheese the author illustrates people’s reactions to change. The author makes clear that some people will react to change negatively and resist it resulting in failures of projects and programs. The moral of the book is that change will happen, so we must anticipate and monitor change. Survival and success requires quick adaptation and personal change. Lastly, people need to enjoy change and its benefits. We need to be ready for change, quick to make change and enjoy it. While the allegory in Who Moved My Cheese focuses on individual responses to change, Leading Change explains how leaders should manage change. 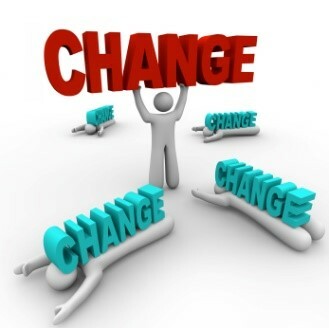 The ability of leadership to manage change is essential to the success of any project or program. Change management focuses on managing to mitigate the resistance and foster enthusiasm for change. The author explains the steps involved in successfully managing change. Leaders must establish a sense of urgency. They must form a guiding coalition, develop a vision and strategy, communicate a change vision, empower people for broad-based action, generate short-term victories, consolidate gains, produce more change and anchor new approaches to culture. Change management is about creating a culture that not only accepts the inevitability of change, but also develops among staff the desire to embrace the changes that will lead to successful organizational transformation. Public organizations are not known for encouraging a culture that enthusiastically embraces change. They experience frequent turnover in senior leadership, shifting policy preferences from elected leaders, and have a stable rank and file, cynical of new initiatives. However, I recently found an example of how one state government is attempting to integrate change management into their culture. The Georgia State Legislature passed and the Georgia Governor signed into law the “Accountability, Change Management, and Process Improvement Act of 2016”, which became effective July 1, 2016. The act requires major information technology projects be supported by a written business case and change management plan. The stated intent of the bill, HB 676, is the state’s desire to take advantage of the benefits achieved through improved technology (such as improved service to citizens at lower costs). The authors of the bill acknowledge the importance of technology to state agencies and the increasing rates of change experienced in government. The authors support for requiring change management plans is based on the practices of private businesses. They state private businesses are increasingly relying on change management practices to ensure successful project implementations. The bill’s authors also note their reliance on research demonstrating that effective use of change management improves the chances of successful project outcomes. The act requires that change management plans submitted by state agencies include certain elements to meet the minimum requirements of the law. The plans are required to include a detailed analysis of stakeholders including a description, number, nature of the changes, their impact and a discussion of possible stakeholder resistance to the change. The plan must also include an assessment of the risks associated with the change, the identity of the changes sponsors, and the proposed change management approach to be employed. The plan must include strategies for dealing with communication, coaching, training, sponsorship, and resistance management. The State’s General Assembly includes a statement of their intent that agencies seek to identify and use the best practices in the private sector in formulating change management plans. This appears to be one of the first attempts at the state level to employ change management through legislation. I have read prior legislation dealing with process improvement and performance management, but have not come across any that mentions change management. If anyone reading this has knowledge of other attempts, please contact me with the information. Time will tell whether the legislation has the impact desired by the General Assembly of Georgia, but it is evidence that change management is front and center on the minds of some policy makers in the public sector today. It also offers evidence of the desire of those in public office to leverage best practices from the private sector in public sector administration. Finally, the law’s minimum requirements for a change management plan are like the elements of effective change management described in Leading Change originally published in 1996. This reminds me that some advice has value no matter how long ago it was suggested. Author: Dr. Gabrini teaches accounting at Dalton State College. He earned a post-doctoral bridge certificate in accounting from the University of Florida, a Ph.D. in public administration from Florida State University, a master’s degree in taxation from the University of Central Florida, and holds a C.P.A. license from the State of Florida. Contact email address [email protected]. There is often good reason why those lower in the organizational hierarchy are suspicious of change. Sometimes it is the change itself and other times it is how the change is introduced and implemented. First–who will the change benefit and who will bear the cost? Too often, those at the top are so enthusiastic about the brave new [fill in the blank] that they fail to consider how it will affect everyone else. In the private sector, the usual purpose of the “change” is to increase profits–which results in employees either working harder for less or losing a job–perhaps a job they have held many years. The public sector has an advantage in that it can present change in the light of shared mission and improving public service. * The “new” process/procedure/technology is announced suddenly–as a mandate from on high–without any notice to those affected or attempt to explain the rationale and secure buy-in. * The process of change inevitably produces inefficiencies until everyone has become accustomed to the new system. Yet, sometimes the organization expects to maintain the same levels of productivity, which increases the stress on employees. It seems like the answer is simple–better communication with stakeholders ahead of the change, allowance for loss of productivity during the change, and a degree of empathy. Yet, too often those in charge are focused solely on bolstering their own accomplishments on the backs of others. Until this fundamental issue (who wins and who loses) is addressed, scripted “change management” drills will likely not produce the desired results.